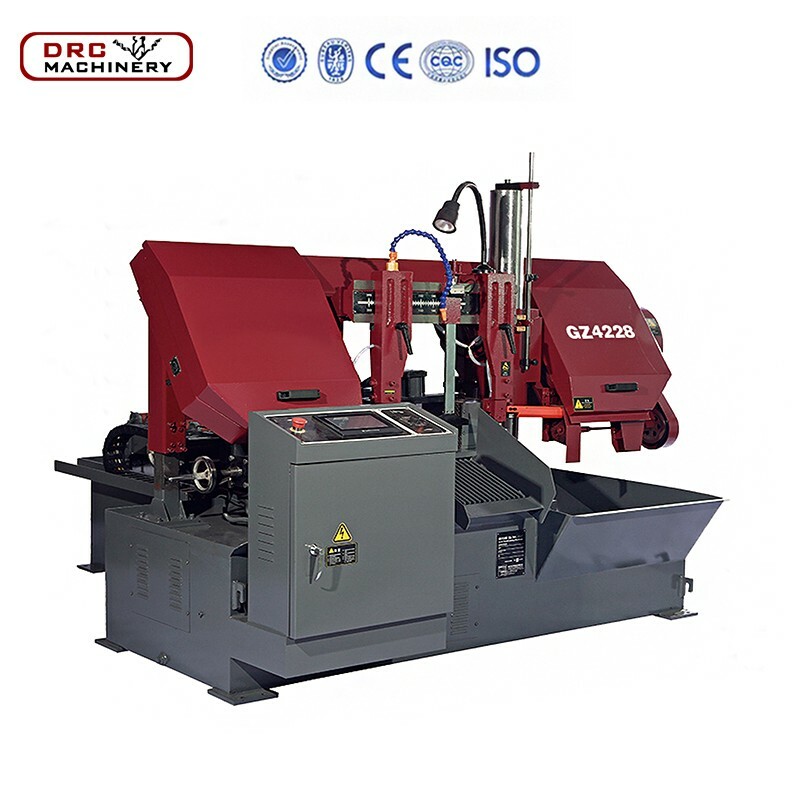 The machine is used to cut the large steel, which is not more than 280mm, the width is less than 280mm, and can be used to cut all kinds of ferrous or non-ferrous materials after selecting the appropriate technological parameters. 1. 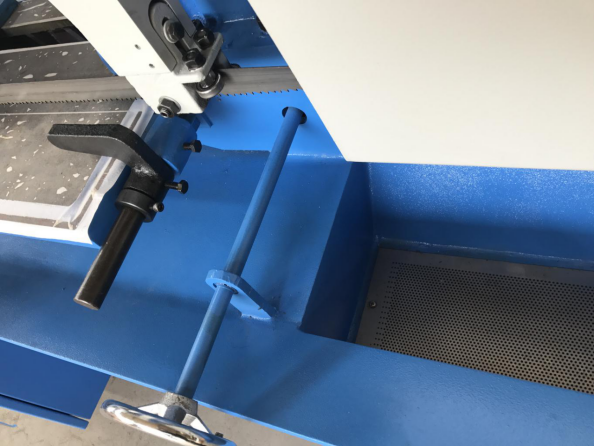 The machine is equipped with automatic clamping, automatic feed and cutting saw frame automatic quick rise (that is, return knife) through mechanical, electrical and hydraulic cooperation. 2. Feed speed, within a given range, can be adjusted without grade. 3. 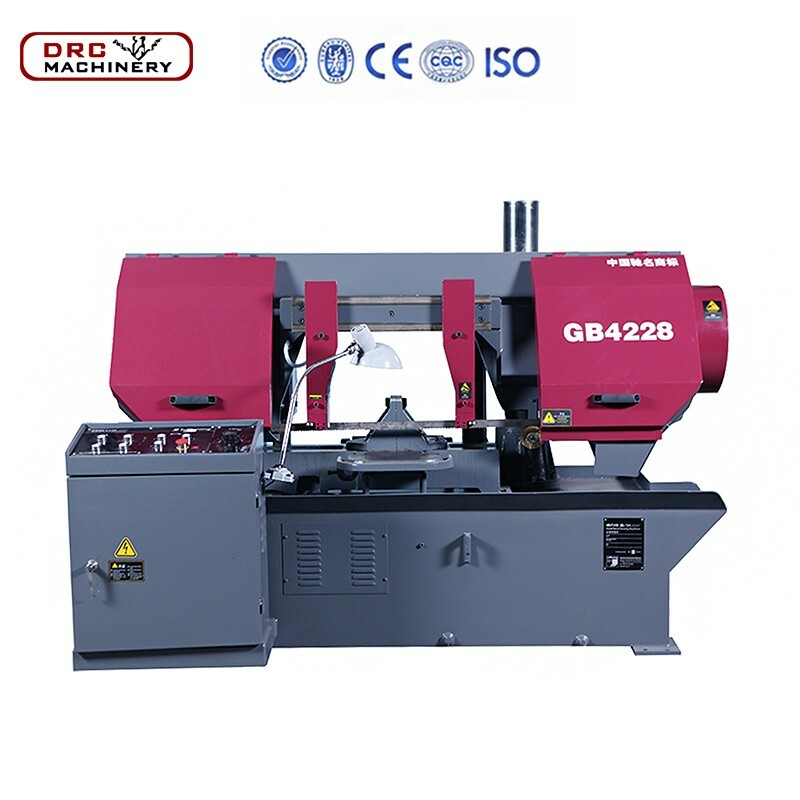 Due to the cutting tool, using imported chip of double metal band saw blade, therefore, narrow incision, material consumption, the power is small, is a large and medium-sized enterprises, public institutions cutting large steel embryo, a kind of large steel embryo with saving material and energy saving high efficient cutting tool. 4. Reinforced adjustable tungsten steel clip to ensure the cutting precision. 1. 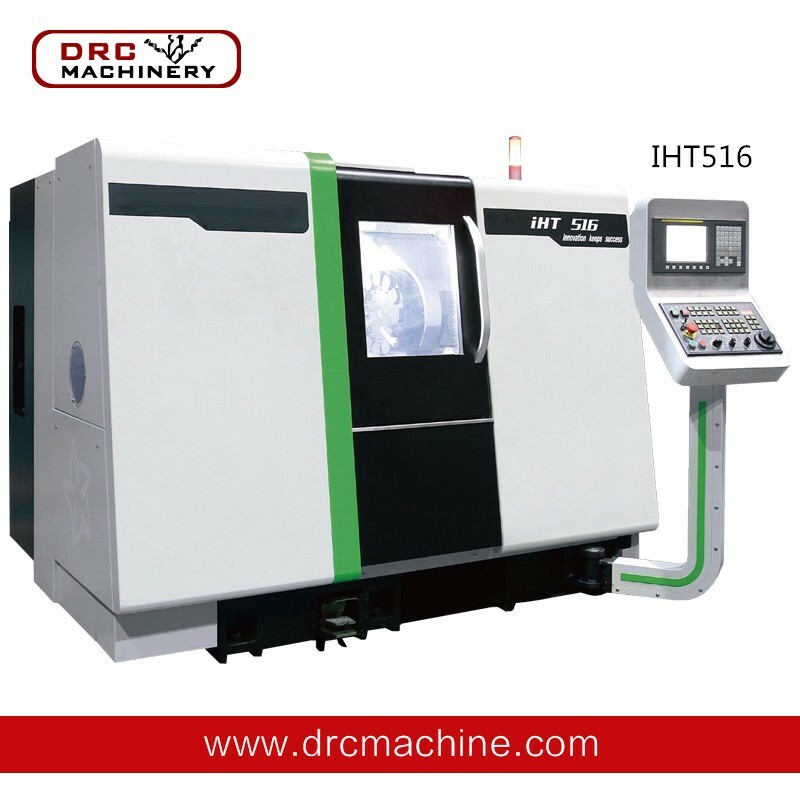 Automatic CNC sawing machine, suitable for mass production continuous cutting. 2. 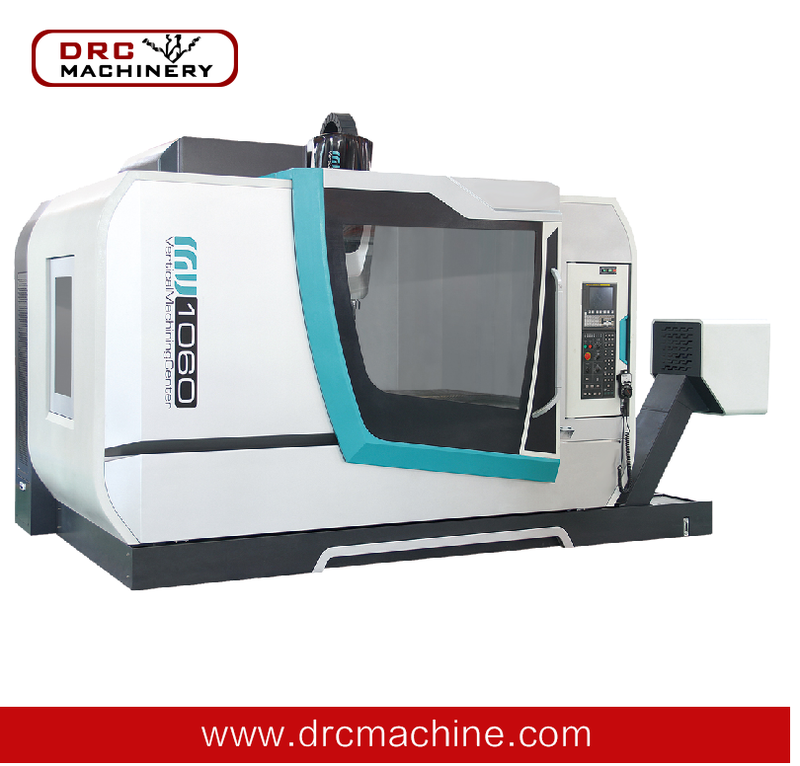 Using PLC control system, you can set a group or several sets of data continuous cutting, repeat feeding accuracy of 0.2mm. 3. Color touch screen operation, man-machine interface to replace the traditional button control panel. 4. 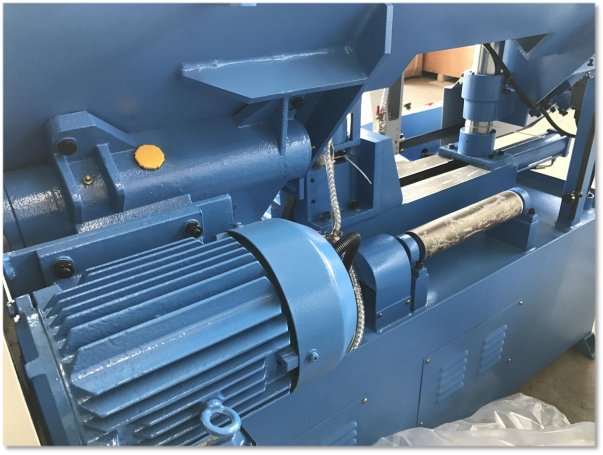 The use of grating control feed length, a single maximum feed stroke 500mm, more than 500mm length can be divided into multiple feed. 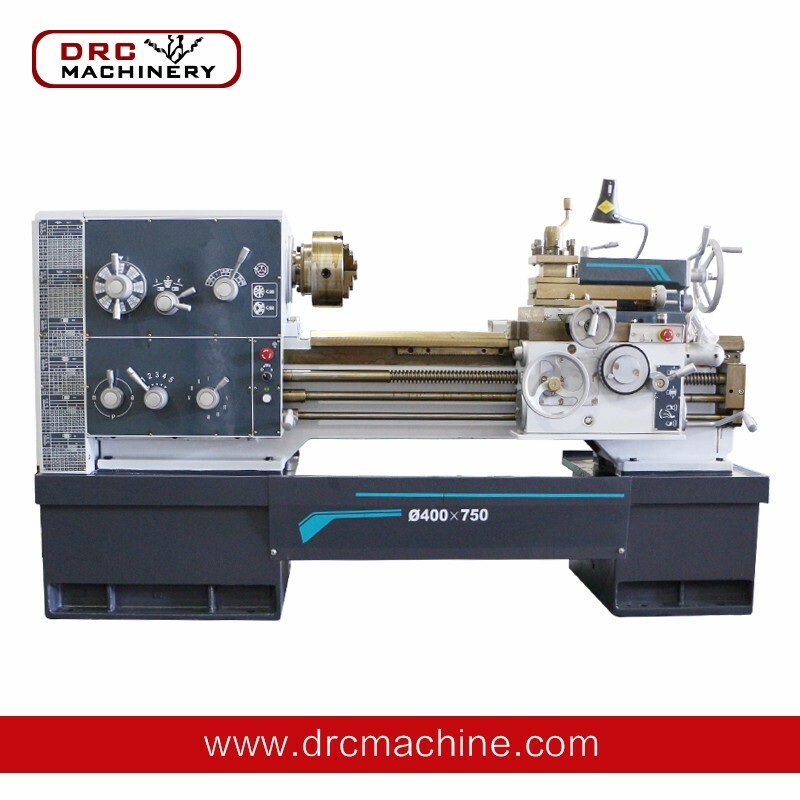 1.Band sawing machine operation and repair personnel must undergo professional training, grasp the band sawing machine operation and repair skills. Operators should ensure adequate sleep and keep the energy focused. 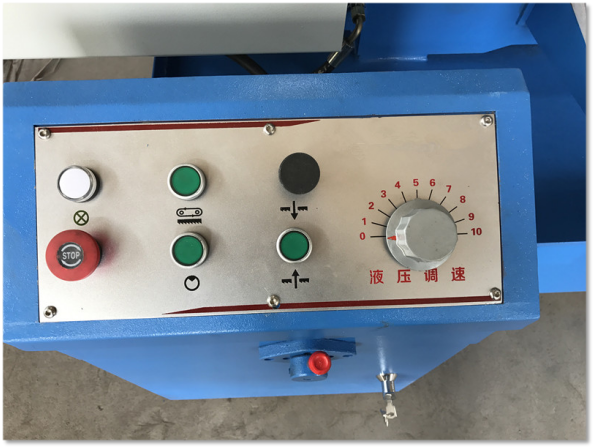 3.When adjusting the iron chip removing wire brushes, the wire brushes should make contact wire with the tooth of the saw blade, but not beyond the tooth root. Pay attention to observe wire brush to remove iron. 4.According to the size of the workpiece, you need to adjust guide arm along the dovetail and lock the guide device after adjustment. 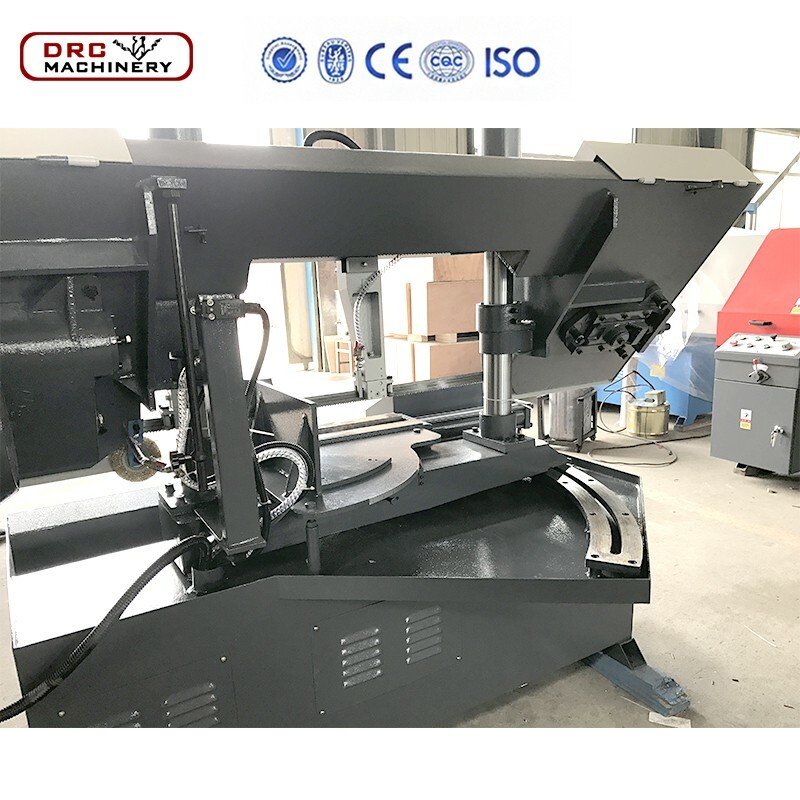 5.The maximum diameter of the cutting material shall not exceed the requirements and the work piece must be held firmly. 6.With the proper degree of tightness of saw blade, speed and feed amount must be appropriate. 7.When making Iron, copper, aluminum products, cutting fluid is banned. 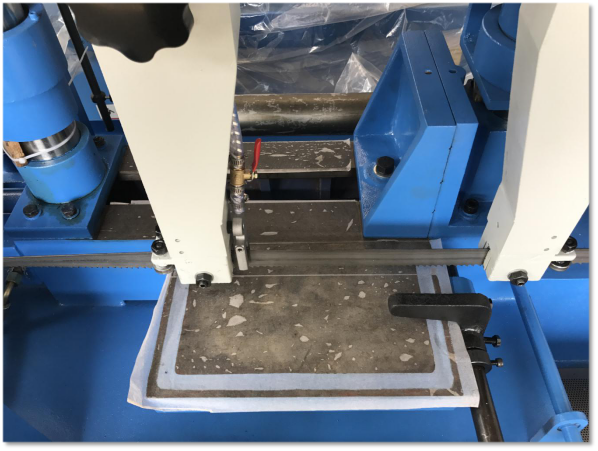 8.If the blade is broken, after the replacement of new blade, you must turn the work piece and resaw.